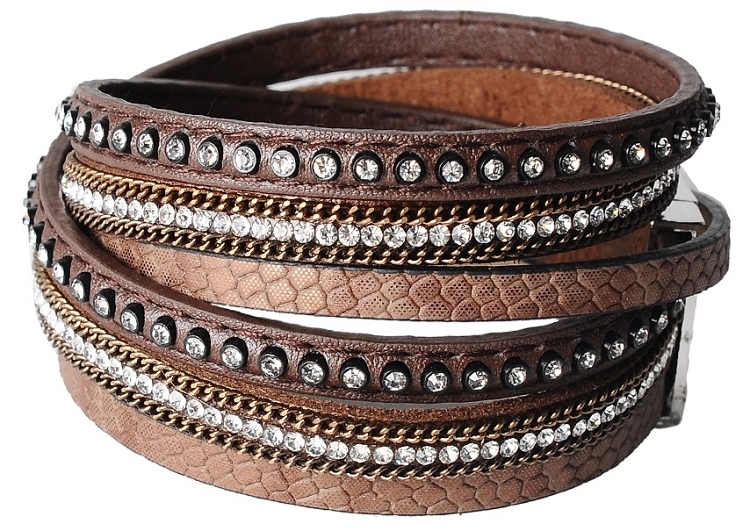 This stylish Leather Bangle Bracelet goes with any outfit. The length fits most any size as it is it is 39cm in length. So happy to have this, love the look and feel. Will be ordering others items, thank you again. The picture didn't do it justice. I bought it as a gift for my daughter and she absolutely loved it. The bracelet is a very nice quality. It has a very nice sturdy clasp. Good quality for the price.